The Camerlengo H.E. Card. 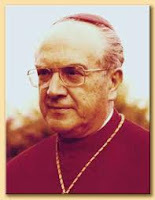 Tarcisio Bertone, S.D.B. 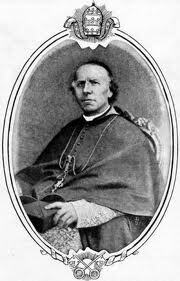 The Camerlengo of the Holy Roman Church is the administrator of the property and revenues of the Holy See; his responsibilities formerly included the fiscal administration of the Patrimony of St Peter. 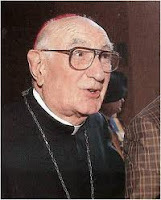 As regulated in the Apostolic Constitution Pastor Bonus, the Camerlengo is always a cardinal, though this was not the case prior to the 15th Century. Art. 171 — § 1. The Apostolic Camera, presided over by the cardinal camerlengo of the Holy Roman Church, assisted by the vice-camerlengo and the other prelates of the Camera, chiefly exercises the functions assigned to it by the special law on the vacancy of the Apostolic See. § 2. 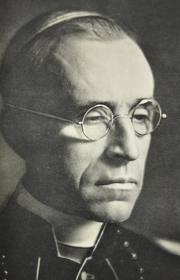 When the Apostolic See falls vacant, it is the right and the duty of the cardinal camerlengo of the Holy Roman Church, personally or through his delegate, to request reports from all the administrations dependent on the Holy See on their patrimonial and economic status as well as information on any extraordinary business that may at that time be under way, and, from the Prefecture for the Economic Affairs of the Holy See he shall request a financial statement on income and expenditures of the previous year and the budgetary estimates for the following year. 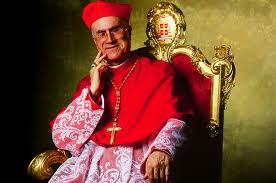 He is obliged to submit these reports and estimates to the College of Cardinals. Chief among the present responsibilities of the Camerlengo is the formal determination of the death of the reigning Pope; the traditional procedure for this was to strike gently the Pope's head three times with a silver hammer and to call his baptismal name. After the Pope is declared dead, the Camerlengo takes possession of the Ring of the Fisherman and cuts it with shears in the presence of the Cardinals. This act symbolizes the end of the late Pope's authority, and prevents forging of documents which would appear to have the Pope's signature. 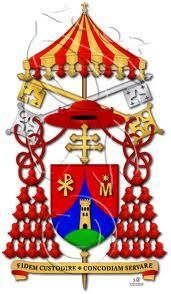 The Camerlengo then notifies the appropriate officers of the Roman Curia and the Dean of the College of Cardinals. He is then involved with the preparations concerning the conclave and the Pope's funeral. 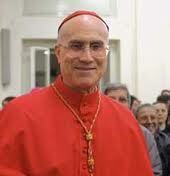 Until a successor Pope can be elected, the Camerlengo serves as acting head of State of Vatican City. 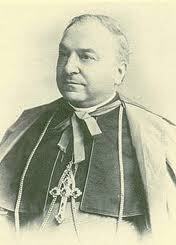 He is not, however, currently responsible for the government of the Cathilic Church during a sede vacante. Universi Dominici Gregis placed that task in the hands of the College of Cardinals (although this power of government is extremely limited, being merely enough to allow Church institutions to continue to operate and perform some basic functions without making any definitive decisions or appointments that are normally reserved to other powers delegated by the Pope). 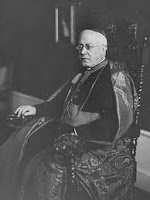 The Camerlengo, though, does keep his office during the sede vacante, as opposed to the rest of the Roman Curia, and functions as the executive director of Vatican operations answerable to the College of Cardinals during an interregnum, primarily to carry out the College's decisions with regard to arranging the funeral of the late pope and the events leading up to the conclave. The only other persons who keeps their office durind a ‘Sede Vacante’ are the Camerlengo, the Vicar General of Rome and the Major Penitentiary.